Many today place great hope in law as a vehicle for the transformation of society and accept that law is autonomous, universal, and above all, secular. Yet recent scholarship has called into question the simplistic narrative of a separation between law and religion and blurred the boundaries between these two categories, enabling new accounts of their relation that do not necessarily either collapse them together or return law to a religious foundation. 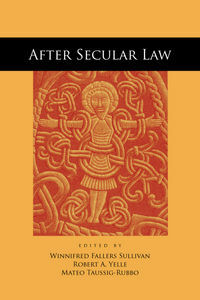 This work gives special attention to the secularism of law, exploring how law became secular, the phenomenology of the legal secular, and the challenges that lingering religious formations and other aspects of globalization pose for modern law’s self-understanding. Bringing together scholars with a variety of perspectives and orientations, it provides a deeper understanding of the interconnections between law and religion and the unexpected histories and anthropologies of legal secularism in a globalizing modernity.